Are you looking for the best private browsing apps for your iPhone and iPad? This article helps you find unique and most secure internet browsers that allow you to browse the Internet privately without leaving any trace on your iOS devices. Here, we have listed 8 most secure and easy to use private browsers for iPhone and iPad. 1. 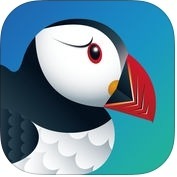 Puffin Browser Pro ( iPhone + iPad + iMessage ) :- Puffin Web Browser is one of the fastest and powerful secure private browsers for iPhone and iPad. This browser has lots of amazing and unique features such as incredible loading speed, adobe flash support over cloud, download to cloud, theater mode, adjustable flash quality, virtual gamepad, full web experience, synchronize chrome bookmarks automatically and more. One of the best private browsers for iOS users and it comes with lots of amazing options including virtual mouse simulator, data saving option and many other features. 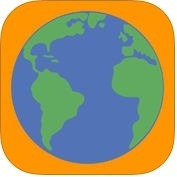 Recommended private internet browser for your iPhone & iPad. 2. 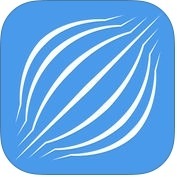 Red Onion - Tor-powered web browser for anonymous browsing and darknet ( iPhone + iPad ) :- With the help of Red Onion app, you can access the entire the web anonymously and with zero filtering restrictions, it helps you bypass corporate, school, public wifi internet filters and you can also access websites on the dark net of anonymous. Red onion app has several advanced features such as internet access tunneled over the Tor network, websites do not see your real IP address, multiple tabs, bookmarks & history, search engine integration in the address bar, passcode lock & touch ID support and, more. The app has tons of amazing features and lets you access your interested websites privately without leaving any trace on your device. 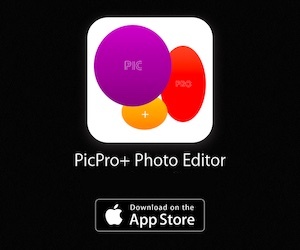 The app contains many unique features including ad blocker, video to mp3 converter tool , passcode locker & touch ID support. 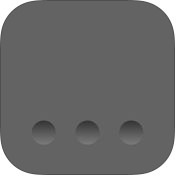 Great app to surf the web privately on your iDevice. 3. iCab Mobile (Web Browser) ( iPhone + iPad + Apple Watch ) :- If you want to browse the internet securely and easily, you can use iCab Mobile web browser app on your iPhone, iPad and Apple Watch. 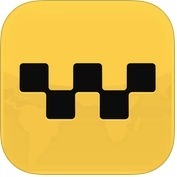 iCab Mobile app offers several useful and unique features, you won't get in other iPhone browser. With the help of this secure private browser app, you can navigate, zoom, scroll, open bookmarks, links, switch tabs, full-screen mode and more. You can upload any file on web pages, you can save web forms and restore the form content later manually or automatically, you can import or export the bookmarks from/to your PC/Mac browser and, you can create multiple user accounts, each user has its own private bookmarks, filters, settings and more. 4. Full Screen Private Browsing Web Browser ( iPhone + iPad ) :- Full Screen Private Browsing Web Browser app has unique and user-friendly features such as supported portrait and landscape mode, hidden status bar to make more space, supported orientation locking for iPad, safari based backend engine, overlay controls to maximise screen real-estate, very discrete icon and presentation, no auto suggest or auto-fill in and, much more. 5. 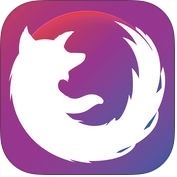 Firefox Focus: The privacy browser ( iPhone + iPad ) :- With the help of FireFox Focus app, you can erase easily your history, passwords and cookies, and you can ignore unwanted ads, you can download faster with less data. This app automatically blocks a wide range of online trackers. 6. Ghostery Privacy Browser ( iPhone + iPad ) :- If you are looking for an easy to use private browsing app, you can use Ghostery Privacy Browser app on your iPhone and iPad. It is a powerful and excellent secure Private Browsers app that automatically blocks a wide range of online trackers. 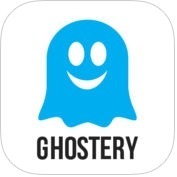 Ghostery Privacy Browser app has lots of advanced features such as largest tracker database, one-click disconnect from all trackers, one-click access to clear your cookies and cache and, much more. 7. 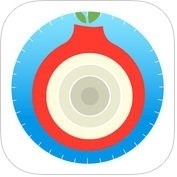 VPN Browser - TOR-powered unlimited VPN ( iPhone + iPad ) :- VNP Browser is one of the most advanced, full-featured, secure and private browsers apps for iPhone and iPad. VNP browser prevents somebody watching your internet connection from learning what sites you visit. This secure private browser has several unique features such as websites do not see your real IP address, advanced browsing capability with tabs & popover detection and blocking, supported for audio and video playback, internet access tunneled over the tor network, and much more. 8. Secret Browser - Private Web Browsing ( iPhone + iPad ) :- Secret Browser is one of the fastest, simple and user-interface private browsers for iPhone and iPad. With the help of Secret Browser, you can be traced from anyone else who can pick up your device, you can set secret browser to wipe everything and start over any time your device is locked, you can also setup the orientation lock and keep your device in portrait or landscape modes. It is supported as many tabs as your device can handle with 3D touch.